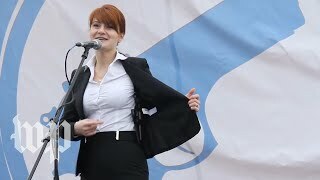 Weeks after the feds raided Butina's apartment, the gun group's president made a hasty exit. On May 7, the National Rifle Association released a curious press release declaring that Oliver North, the key player in the Iran-contra scandal and an NRA board member, was "poised to become" the group's president. Earlier that day, Peter Brownell, then finishing his first term as NRA president, had announced that he would not seek a second annual term in order to devote more time to his family business, a firearms retail company. This development puzzled NRA watchers. North had not been in the line of succession. He was not prepared for the position and said he would need weeks before he could assume the post. Brownell was the first NRA president in a decade and a half not to seek a second term, and the first vice president, Richard Childress, was passed over. Childress claimed that because of his own commitments he could not even serve as interim president. That job went to the second vice president, Carolyn Meadows. The NRA had been known as an outfit with a strict hierarchy. But now all that was being thrown aside in what North called an "unexpected" and "sudden" action. Go to Mother Jones for the rest of this article.